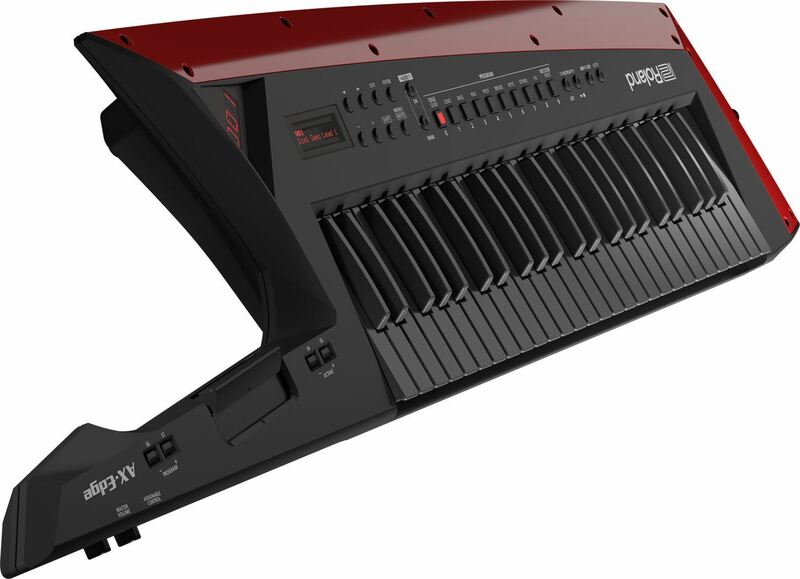 The AX-Edge Keytar has a sleek, modern design with a customizable look via interchangeable Edge Blades, 49 full-sized keys, and a sound set crafted specifically for keytarists. Today’s audiences crave dynamic performances that stand out. As an artist, you want to connect with your fans and take your moment in the spotlight. The AX-Edge builds on decades of refinement and learning from artists the world over about what makes the ultimate performance synthesizer. Throughout the AX-Edge, you’ll find thoughtful design features that give you the freedom and confidence to truly express yourself on stage. We didn’t cram generic preset sounds into the AX-Edge—it has a curated sound set driven by our latest technology. The onboard sounds are optimized for stage performance to produce sounds that cut through, even in a loud band. 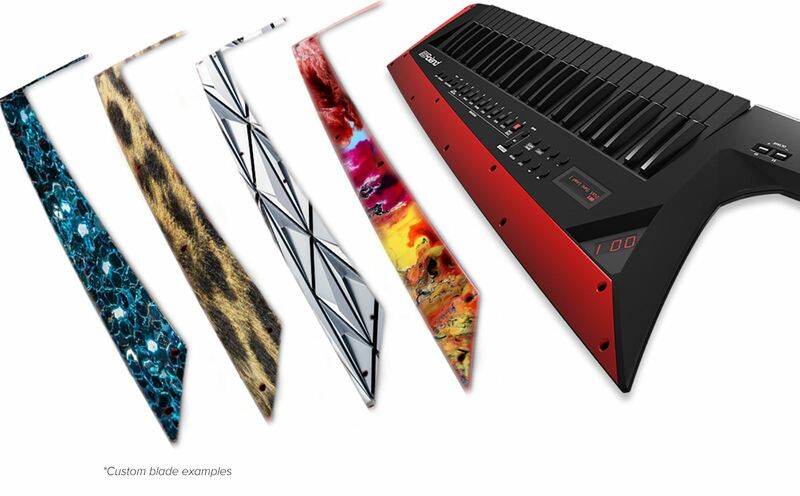 Dedicated buttons for favorite sounds give you instant access to edgy leads, big fat basses, and all manner of keyboard sounds perfect for the performing keytarist, whether it’s taking a solo or sharing the limelight with your bandmates. If you like to customize your sounds, you can connect to the AX-Edge editor app with Bluetooth MIDI and tweak your sounds wirelessly. Splits and layers let you take full advantage of the expansive, full-sized keyboard. And a wealth of stunning new effects, including a master compressor and EQ, give you polished, studio-quality tone in any venue. And thanks to the Tone Remain function, you can switch sounds seamlessly on stage without notes or effect tails being cut off prematurely. Every good keytar needs a good stand, for stage, studio or home. The ST-AX2 is that stand.